Top 5 Male Anime Characters Poll Results. *If you’re interested in learning more about any of these characters, there are links provided to their respective wikias. They are a great resource for finding information about characters you find interesting. In fact, I used them myself when writing this list. You’ve nominated and voted, and here are the results of the Top 5 Male Anime Characters fanmade poll. 5. Alucard, Hellsing Ultimate. 7% of the vote in the Top 5 poll. 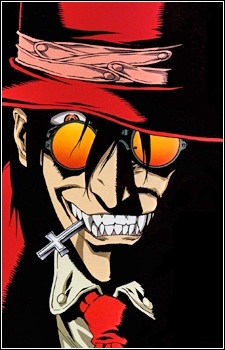 Alucard is no mere vampire; in fact, he might not only be the most powerful vampire, but also the most powerful being in Hellsing Ultimate’s universe. He fights with a brutal intensity and won’t stop until his opponent has not only been defeated, but also completely humiliated. He’s pretty much unstoppable, and he knows it, which causes him to become extremely arrogant. But, even though he is an arrogant vampire, he doesn’t hate all humans. He is actually envious of some human characteristics, and admires humans who possess certain qualities. Alucard’s abilities, personality, and history are the reasons why he made this list. 4. 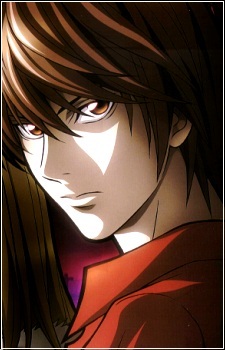 Light Yagami, Death Note. 13% of the vote in the Top 5 poll. Light Yagami started off as just normal high school student, who also happened to be an analytical genius, cynic, and sociopath. He was frustrated by the injustices of the world, and, once he gained the power of the death note, planned to eliminate them by any means necessary. Once he begins his quest, Light quickly starts to become more and more evil. Viewing his way of achieving his goals as the only correct one, he will stop at nothing to see his goals accomplished. His drive and determination, along with his intellectual abilities, are the reasons why he is ranked fourth on this list. 3. 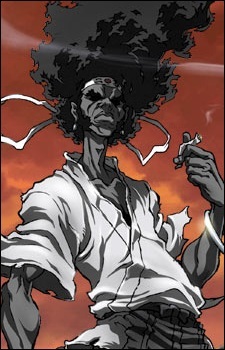 Afro, Afro Samurai. 13% of the vote in the Top 5 poll. After seeing his father murdered as a child, Afro would become a killer, bent on revenge. He has killed many people in order to accomplish his goal, to avenge his father. Afro is a very serious person. Even though he often smiled as a child, he has never cracked a grin since his father’s death. He doesn’t care who he has to kill to get his revenge, and he will never stop until he avenges his father. His sword skills, and serious demeanor is why Afro is on this list. 2. Vegeta, Dragon Ball Z. 24% of the vote in the Top 5 poll. Vegeta, the prince of Saiyans, was changed from a conqueror of worlds, to a savior of earth. The once bitter enemy of the Z-fighters became one of their most powerful warriors, and helped save earth several times. He strives to be the most powerful warrior in the universe, and surpass his rival, Goku, in power. 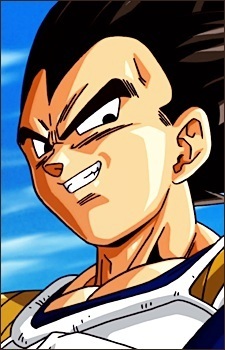 Vegeta’s work ethic, competitiveness, and pride are the reasons why he was selected as the second-best male anime character. 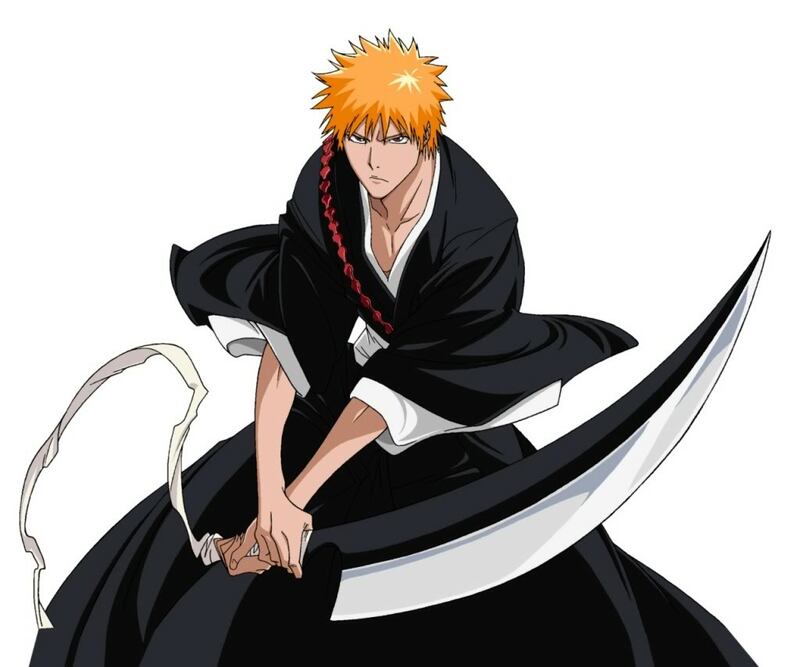 Ichigo Kurosaki, Bleach. 36% of the vote in the honorable mentions poll. Spike Spiegel, Cowboy Bebop. 37% of the vote in the honorable mentions poll. Guts, Berserk. 6% of the vote in the Top 5 poll. Hisoka, Hunter x Hunter. 6% of the vote in the Top 5 poll. 1. Goku, Dragon Ball Z 31% of the vote in the Top 5 poll. After crash landing on earth and being raised by his adoptive grandfather, Goku became the one of the most powerful warriors in the universe. Ironically, Goku was originally sent to earth to destroy it, but ended up becoming its savior. 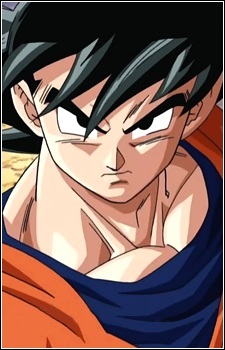 Goku is a fierce fighter who has saved earth many times, and has given up his life doing so multiple times as well. While he can be a bit naïve at times, Goku is always right there when he is needed most, and will always find a way to rise to the occasion. His selflessness, determination, and strength are the reasons why Goku was your choice for the number one male anime character.